The Doctor (Dr Who) Cardboard Cutout Over 900-years old, the Doctor is a Timelord - a once proud and powerful race decimated in a vicious Time War with the Daleks. He now wanders the cosmos in his time and space machine, The Tardis, but he's always got time to put right wrongs and overthrow the odd evil empire! 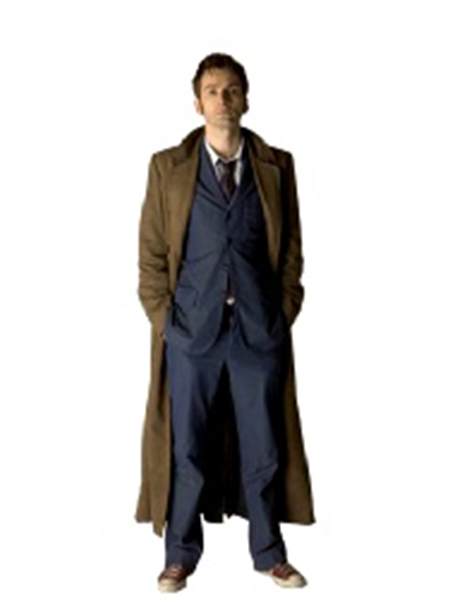 The modern day Doctor Who, in his classic suit and overcoat.This cutout shows David Tennant in the new hit series as Dr Who.